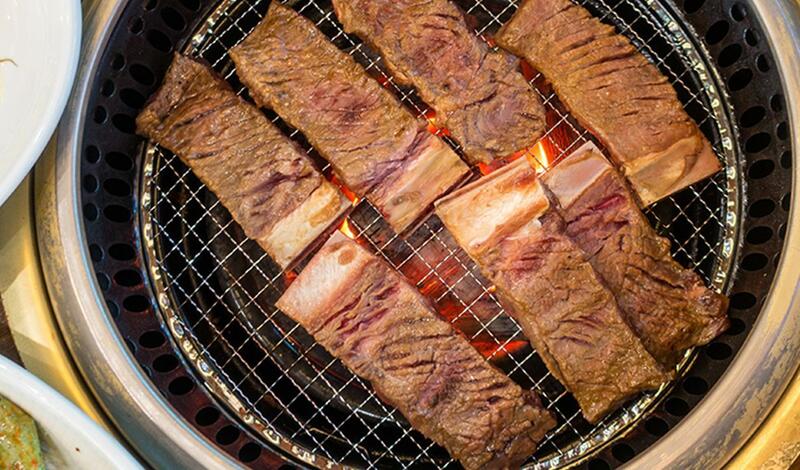 Authentic Korean Beef Ribs, sweet and spicy to delight any meat lover. Rinse the ribs in two changes of water. Trim the excess fat on the ribs. Cut through bone into portions. Butterfly the ribs so the meat is approximately ½ inch thick. Ensure you have 10 portions of 4 oz. Alternatively use boneless short ribs and butterfly. Place all ingredients in a blender and puree. Marinate the meat for at least 6 hours or overnight, refrigerated. Cook on charcoal grill or wood-burning barbecue until perfectly cooked. Alternatively, use a preheated electric or gas grill.